Ranger Body Armor (RBA) was designed by the U.S. Army Natick RD&E Center to meet the operational needs of the 75th Ranger Regiment. The 8 pound Ceramic Upgrade Plate, which provides front torso coverage, is fabricated of 2" x 2" aluminum oxide ceramic tiles. 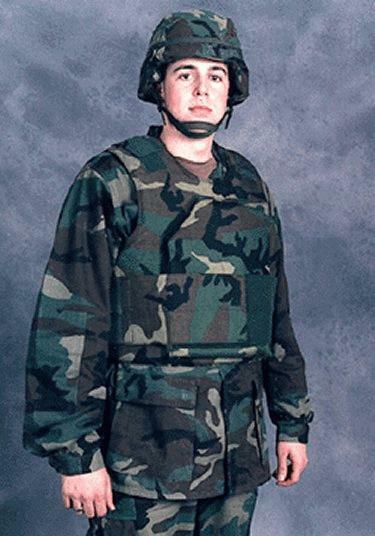 When the upgrade plate is inserted into the front pocket of the vest, it protects an approximate 10" x 12" area from 5.56 mm and 7.62 mm ball projectiles.